Click on the links below to explore units and everything else about Teton Creek Townhomes. 1 unit to choose from. Our rental in Teton Creek Townhomes accommodates up to 6 people in 1 unit. These single story townhomes are located 4 miles East of Driggs with easy access off Ski Hill Road and just 8.5 miles from Grand Targhee Ski Resort. Great views of Grand Targhee Ski Resort and the Teton Mountain Range. 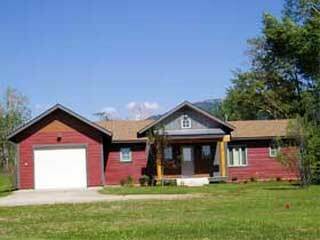 General Location: On Ski Hill Road just 8.5 miles to Grand Targhee Resort and 4 miles to Driggs. Specific Locations for Teton Creek Townhomes Map?